The big news over the last two days in the IEM world is that Sony has decided to do custom IEM. The sub-brand will call 'Just ear' and at at least for now, three different standard models / tunings ('monitor', 'club sound' and 'listening') will be available where there is also mentioning of user customizable tuning for additional fee. Price is set around USD$2000 to $2500 for standard tuning and another USD$500 for customized sound. Not sure whether Sony will bring it out of Japan or not, the release date is set before the end of the year. It is great that Sony decided to push further into the IEM world, and the build quality seems to be great. 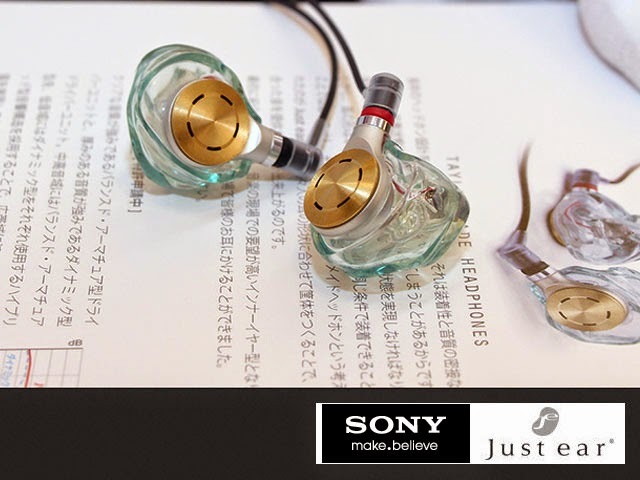 However, consider that the company has yet to even make an universal IEM that can compete in the top-of-the-line level (*I have heard as high as XBA-H2/3 and they are not that much of a looker IMO), I would certainly doubt Sony's ability to tune a TOTL custom with premier price tag. There is just not enough to inspire confidence.